Inviting true tennis fans to leave a comment here and to express their loving concern and messages of encouragement as well! With all my heart and soul I am filled with prayerful hope for healing for Venus. The Olympic Gold Medalist and seven time majors champion, Venus Williams withdrew today from the US Open due to health reasons, a diagnosis of an autoimmune disorder for which there is no cure. Today we received her press release announcing that she has Sjogren’s syndrome, an autoimmune disease that causes fatigue and joint pain. Having never in her career withdrawn this early from a major, I can only try to imagine what you Venus are experiencing. For sure you have shown the world what a fighter you are. Please know that you are not fighting alone; and, that you are loved and appreciated world-wide! Much Love, Health and Happiness to you Venus, a champion on the tennis court; but, more importantly a champion at living a meaningful, inspiring Life. I will not Blog more tonight, instead I will remain prayerful; and continue asking God to extend his boundless grace and mercy to Venus and her healing process. Inviting true tennis fans to comment here and to express their loving concern and messages of encouragement as well! 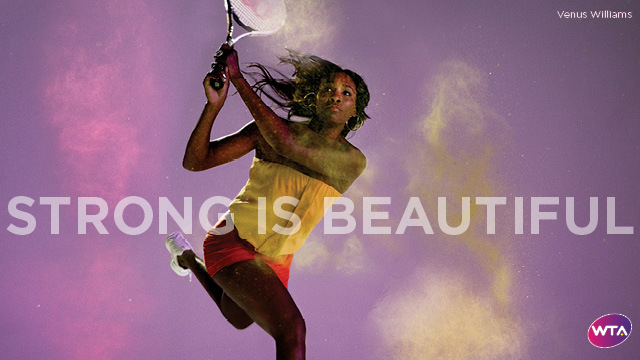 Venus, I hope and pray that you will beat this disease and return to the tennis courts once again. I know that you are a fighter and will over come this trial with the help and blessings of God. 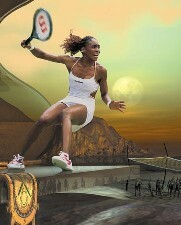 You are a beautifuly woman and a Tennis Star and has bought so much enjoyment to me and others in Tennis. Get well soon and hurry back! You will be dearly missed.